Course Description: The Fundamentals of Dance is for students grades 6-12. This class covers a variety of dance styles. Students will learn the basics of various ballroom, swing, and line dances. They will also receive valuable skills such as dance etiquette, respect for others, and self-confidence. These skills are both applicable in the real world, and at social events. This class can count toward a PE or an Art credit. Prerequisite: The student should have successfully completed the 5th grade. Instructor: Miah Thompson graduated from the University of Alabama in Birmingham in 2015 with a Bachelor of Science in Psychology. She started teaching social dance at Curt n’ Wendy Dance in 2011, and started choreographing group and single routines in 2012. In 2014, she branched out and created her own company, Dueta Dance. 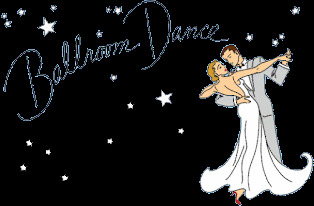 Miah primarily teaches social dance, as well as choreography and competitive ballroom dancing. Miah’s belief is that anyone can learn how to dance, as long as they have an instructor who believes in them. She uses that belief to motivate her students to excel in dancing, whether it be social, competitive, or performance. She and her students have performed at multiple events, including the Birmingham Ballroom Dance Marathon, Christmas in Dixie, Dancing with the King, and All Star Dance Camp. They have also performed at social dance events, nursing homes, and Children’s Hospital. Miah's passion is choreography, although she enjoys teaching social dance and competitive dance as well. She has experience working with all ages, primarily teens and adolescents, and teaches using both the Arthur Murray syllabus and the DVIDA syllabus. Required Materials: Good moveable clothing. Form fitting shoes that stay on your feet when moving around, and have limited traction on the floor. Facility Fee: The annual facility fee for this class is $30 per student, not to exceed $120 per family. This fee is payable to Grace Church on the first day of class. Class Minimum: The class will have a minimum of 6 students. If class minimum is not reached, class may be cancelled and the registration fee will be refunded.